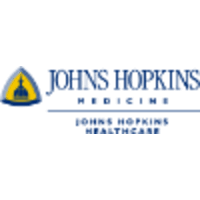 As a change agent and part of the senior leadership team at JHM, s/he will play a pivotal role in developing and leading a high-performance marketing and communications team which embraces a contemporary, innovative marketing philosophy and approach focused on optimizing the patient experience, driving service line revenue growth and supporting the brand and mission of Johns Hopkins Medicine. SVP Marketing & Communications will develop, lead and advance the marketing strategy and programs for JHM— serve as an advisor, influencer and enabler for enhanced marketing initiatives, ensuring that an integrated and well-coordinated system-wide strategic marketing program leverages opportunities for all areas of JHM. Individual willleverage his /her skills as a highly collaborative, business-savvy professional with solid experience building marketing programs with brand, revenue and reputational impact. At least 10 years proven experience in strategic marketing and communications senior leadership position. Successful track record of strategic marketing, business acumen and leadership; adept at managing and leading teams in complex organizations; experience in the health care industry, particularly in an integrated health care system environment, or in a large, complex business environment required. Demonstrated experience in developing and implementing new systems, programs, techniques, and procedures with a successful track record in achieving financial goals and objectives. Successful track record of using data and analytics to drive strategic decision-making—combined withcreativity and innovative thinking. Demonstrated business management ability with a track record of building programs and strategies that drive real, measurable results. Strong portfolio of integrated marketing communications capabilities—significant experience developing brand strategy, digital marketing, content marketing/thought leadership, web development and optimization, mobile, customer experience; demonstrated knowledge of and integration with external and internal communications functions. Consumer marketing expert with a track record of successfully developing and stewarding brands, as well as driving the development of business-building marketing strategies and programs. Possesses strong collaboration and teamwork skills and is able to maintain respect and strong relationships across the organization while asking questions which challenge the status quo and lead to new thinking about the brand, patient experience and marketing programs. Displays a high degree of organizational agility – the ability to handle large-scale change programs, the comfort to influence without always having direct control, and the savvy to navigate complex situations with multiple stakeholders. Ability to employ effective analysis and reporting; development and implementation of marketing and communications reporting framework specifically designed to measure effectiveness and return oninvestment. Ability to think conceptually and strategically; both a strategist and a practitioner–can shape, teach and influence as well as deliver on explicit targets and goals. An effective communicator who shapes opinions, overcomes objections, and convinces others of vision and strategy by flexing leadership styles appropriately to meet situational and individual needs. A perceptive, energetic individual who can affect change in a dynamic environment and be a collaborative evangelist for a sophisticated, effective marketing effort. Excellent skills in managing, motivating, and supporting people and building a cohesive Marketing unit. Strong track record of attracting and retaining outstanding talent. Confident decision-maker with excellent presence; self-starter, entrepreneurial. An accomplished juggler with the ability to keep multiple projects moving forward simultaneously, while anticipating the future. Expert communications skills (oral and written). Proven experience in working with and advising people in high-level positions on business opportunities and issues. Team player; ability to work collaboratively with others to achieve marketing and communications objectives; good listener, collaborative style of management that values the input of others. High energy/drive, a relentlessly positive attitude, and results oriented. Perceptive, persuasive individual who can effect change in a dynamic environment while being flexible and adaptive.